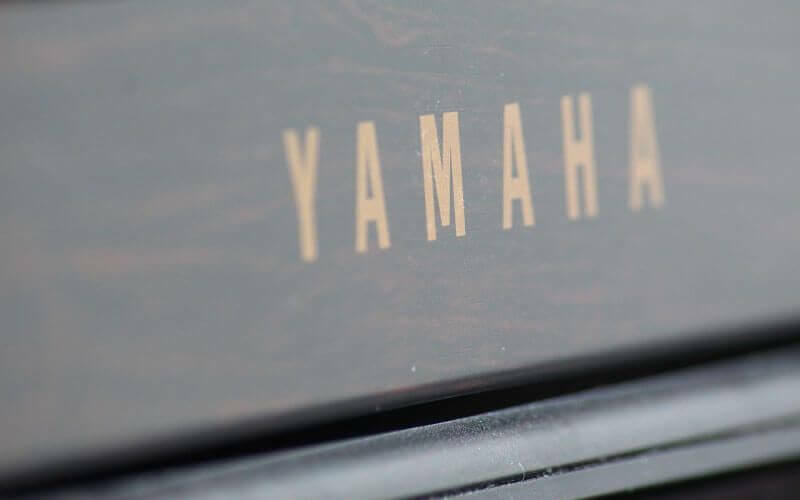 The Yamaha NP-31 review is a comprehensive look at this digital piano to provide potential users with the information that they need to make an informed decision about this brand and model. The first step in choosing a digital piano is ensuring that you are choosing a brand that is reliable and trusted. The brand will tell you a lot about a digital piano. Buying a digital piano from an unrecognized brand is a risk. You have to be sure of reliability before you make the purchase. Yamaha easily meets the requirements for a trusted brand as well as meeting the requirements of being a reliable brand. Yamaha has been providing high quality instruments since 1887 when it was established. This trusted musical giant started out as a small one man operations making reed instruments of course of the years it has evolved into a multinational musical instrument giant. There is one great advantage of choosing a digital piano from Yamaha you get the sound of some of the best acoustic pianos in the world that are also built by Yamaha. Not many musical instrument companies can claim the lengthy history that Yamaha can claim. Nor is there a lot of musical instrument companies that can claim that they have the experience that Yamaha has when it comes to innovation and product development. Any digital piano that bears the Yamaha logo can be considered a trusted electronic instrument. The NP-31 is a good example of the time and effort that Yamaha puts into each of their digital pianos, even their entry level models. Now that you know that you can feel comfortable choosing an instrument from Yamaha now you need to know what the Yamaha NP-31 has to offer you in way of features. The Yamaha NP-31 is part of the Piaggero line. Piaggero is a play on words combining the word “piano” and the Italian “leggero” (small). The series name should give you a hint as to what to expect. Yamaha designed the NP-31 to be portable and easy to transport so it is on the small side. If you are looking for a full sized digital piano with all the bells and whistles this is not it, but this is something that even folks that have full sized models at home or in the studio may want to take a look at. The Yamaha NP-31 has the most wanted features for beginning students but it does not have an abundance of features. It has everything that you need for a great practice session or even for a performance. It would be a great practice instrument that can go anywhere. The NP-31 is ideal digital piano for beginners and students because it is lightweight and easy to use. It is less than half the weight of similar models. It is literally light enough for a child to carry! This can be a huge benefit if you are on the run quite a bit and have to take your digital piano with you. On average a digital piano will weight around 35-40 (15.7 KG-18.4KG) pounds while the NP-31 weighs in at 12 pounds (5.4 KG). This is a huge advantage for anyone that has to carry their digital piano around. As a nod to its complete portability this is one of the few digital pianos that has a standalone battery system so that you can literally play anywhere. On the down side of this feature you will have to buy an AC power adapter separately because it does not come with one. You can purchase one separately for a reasonable cost. This is not a full size digital piano in the truest sense of the word. The Yamaha NP-31 has 76 keys while typically full size keyboards offer 88 keys which are more in line with acoustic pianos. The keys are graded and touch responsive but there is no graded hammer action. It is not meant for large performances, as some top digital pianos that feature weighted keys, it is meant for practice sessions and for getting familiar with the digital piano. The feel of the keys is natural. The Yamaha NP-31 offers the AWM stereo sampling that is found in most Yamaha digital pianos. It also has a built in stereo speaker system which is a nice addition. It offers preset songs, 32 voices and 4 reverb options. It offers a headphone jack and MIDI out jack. The controls are intuitive so they are very easy for anyone to use. You can easily compose on this digital piano, literally anywhere. It is basic but it has everything that you need. The battery life is rated for 6 hours so you have plenty of time to jam before the battery gives out. Of course the fact that it is battery operated means that you can play anywhere without having to worry about hooking up to a power supply. This would be a good option for outdoor venues where power supplies are limited. It would also be ideal for anyone that does not want to be stymied in their creativity by being trapped in doors because of the need for a power supply. The only thing that Yamaha could do to improve this model is to include the AC cord. Of course one can easily be purchased but it would be great if it was included with the purchase of the digital piano. Of course at this bare bones price point it is understandable why Yamaha kept it out of the package. This is meant to be a completely portable digital piano so it was built with that in mind. The weight was kept way down and the battery operation was a focus point because not having to worry about toting around a power supply is part of the idea. There is no real drawback with this digital piano. The only user that would find issues is the user that expects more. This is really an entry level beginner keyboard and if you are looking for anything more than that you will be disappointed. The sound is great but it does not have all of the “upgraded” features that an advanced user would look for. Of course if you are an advanced user and you know what you are buying when you buy it than you could absolutely make good use of this digital piano. If you buy this digital piano for its intended use, then you will be happy with it but if you buy this digital piano with grand ideas you will be disappointed. The Yamaha NP-31 is an excellent budget keyboard piano option. If you need a digital piano that can be transported easily and that you want to practice with this model may be your best bet. There are clear benefits to choosing a Yamaha digital piano over other digital piano brands. They use the same great sounds on all of their models regardless of the cost which is great when you have to be conscious of your budget. It is ideal for the beginner that is perhaps not sure how committed they are to the digital piano. It is a really nice jumping off point for the beginner. It would also be great for the more experienced player that does not want to take their more expensive equipment on the road. It would travel great. It would take up less room than the larger digital pianos and certainly would be more comfortable to carry. With a fully charged battery you would have 6 hours of play time on the road. While others are searching for a power source you would be able to practice until your hearts content! Of course Yamaha has the reputation for providing innovative instruments at all their price points so it is hard to find instruments that beat their high quality innovation at this price point. You get a great warranty with this model which will give you peace of mind knowing that they stand behind their products. There are plenty of benefits to owning a Yamaha digital piano and the NP-31 brings them all to the table. This model is easy to use which means there is less of a “learning curve” involved in getting to the music. As a beginner the last thing anyone needs is to have to spend time learning the technical aspect of the digital piano. It is supposed to be all about the music and the stripped down NP-31 lets you get right to the music. Being stripped down does not mean that you do not get the needed features it just means that those “extras” like 500 sound effects that are not needed are taken out. Is it the best digital piano? For the money it is. It could be the best digital piano under $300. You would be hard pressed to find another brand at this price point that offers the quality and features that the Yamaha NP-31 has to offer. Yamaha has put the work into the design and it shows. As an entry level and completely portable option the Yamaha NP-31 is a great choice.